Here is a sneak preview of two exciting new Fall collections from Zoya, Focus & Flair, a set of rich creams and luxe metallics. Keep reading to see more! · Charli - a dusty taupe cream with a hint of green, a perfect neutral. · Desiree - a classic sable brown cream that has just enough gray to keep it cool in tone. · Hannah - a clear, classic red cream with a balanced (neutral) undertone. · Janel - a deep red cream with a rich warm undertone. · Lidia - a rich eggplant cream with a blackened purple base and just a hint of red resulting in a color that is wearable for most skin tones. · Sia - a true, royal blue cream. 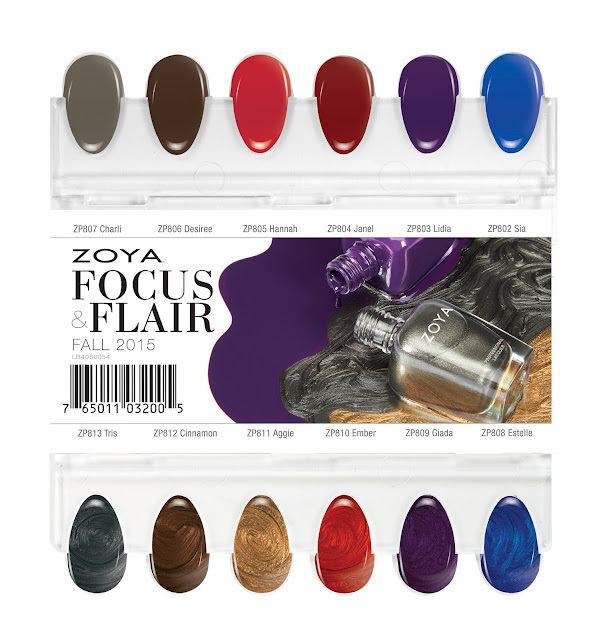 NOTE: This is a highly pigmented shade - make sure to apply a base coat to prevent staining. · Tris - a blackened, brushed nickel liquid metal. · Cinnamon - a classic bronze liquid metal, originally designed for Zang Toi NYFW F/W15. · Aggie - a gold holo-flip, liquid metal with bronze micro glitter. 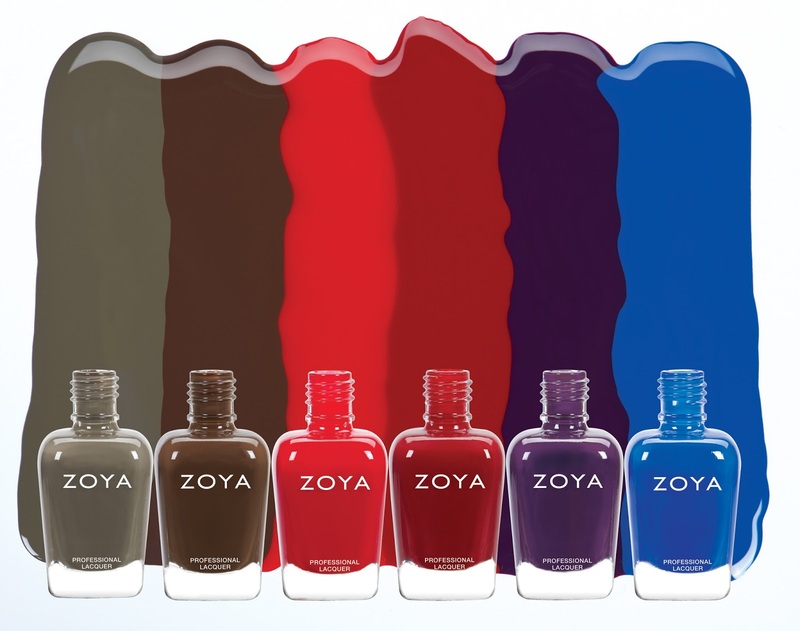 Sheer enough for layering with one coat or fully opaque in three coats! · Ember - a deep, fiery red liquid metal with enough blue to be wearable for all skin tones. · Giada - a purple liquid metal with a hint of fuchsia pearl. · Estelle - a blue on blue liquid metal with a blackened base. 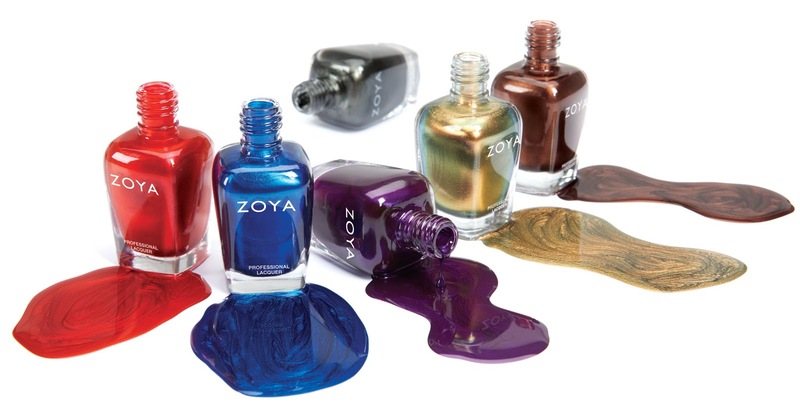 This looks like it's going to be another fantastic collection from Zoya. I just love this color palette, and how these colors coordinate with one another! 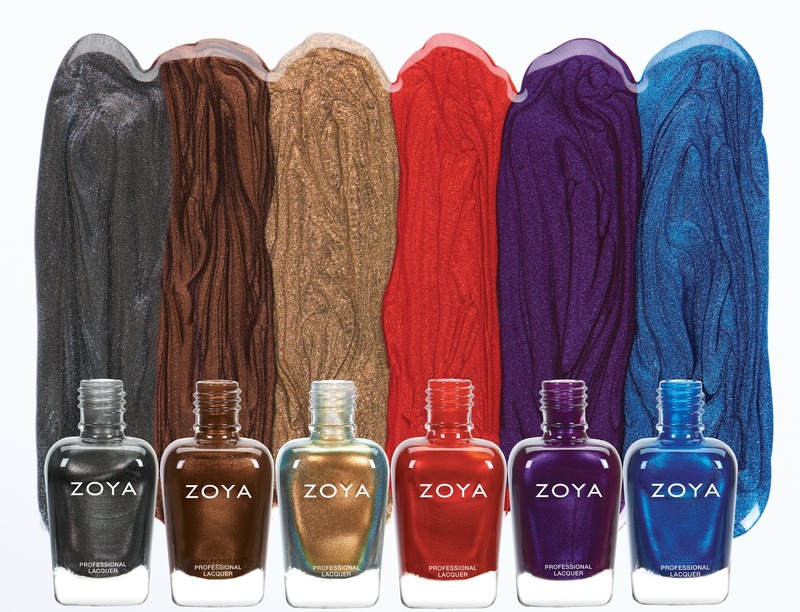 I'm especially eager to see how these shimmering, velvety metallics look in person. What do you think of Zoya's new Fall colors? Which are you most excited to try?